The Thinker. David. Lincoln of the Lincoln Memorial. Sculptures, like those above, have been a staple form of art ever since people realized that they could manipulate stone. Either to immortalize legends or demonstrate the intricacies of the craft, sculptures are more than just heavy pieces of rock. The sculptures of Sekkou Boys are the same. While they likewise have the status and the looks backing them, they also bring their charm to this animated medium. 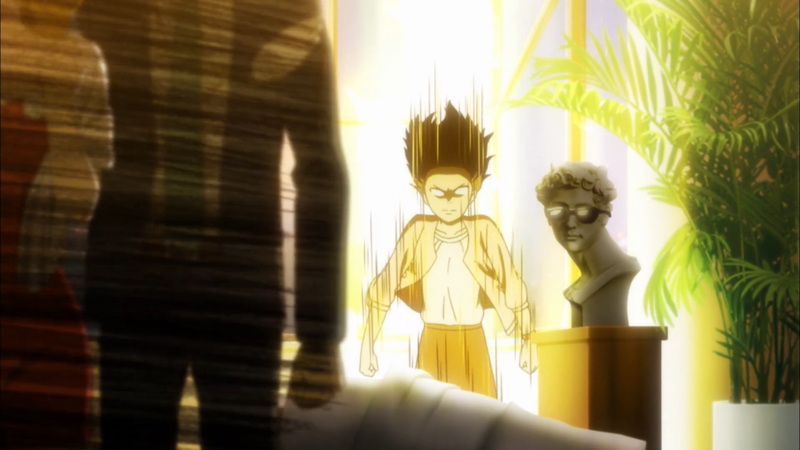 Sekkou Boys finds Miki, a recent art graduate, choosing to pursue a career in management after coming to despise drawing sculptures. 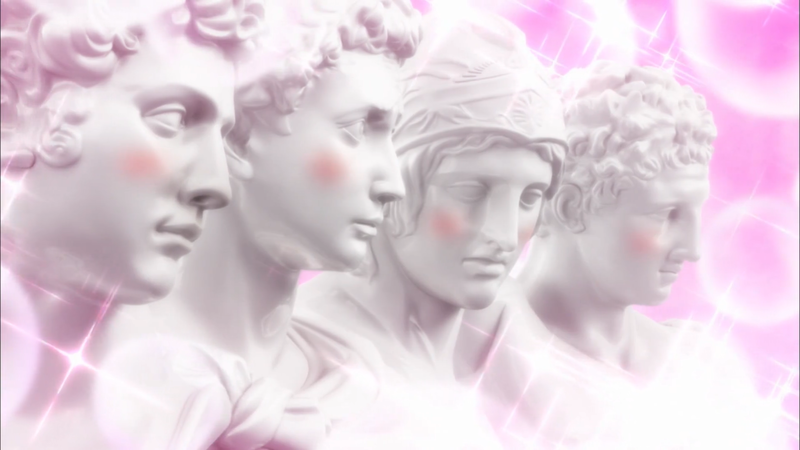 Naturally, she gets the job – managing a new idol group called the Sekkou Boys, consisting of four talking, singing sculptures: St. Giorgio, Mars, Hermes, and Medici. The premise itself is ridiculous. Each episode has Miki doing her best to deal with the shenanigans and issues that come with these four “men.” From the immense difficulty in lifting them everywhere to potentially scandalous dealings, the anime embraces its absurdity. Nobody questions such inanimate objects actually acting and reacting, leaving more room for the anime to simply play out its events. To this end, Sekkou Boys does well in utilizing its premise for comedic purposes. For example, near the end of the season, Medici gets tossed in with hundreds of copies of himself, and the only way Miki knew which one was the real Medici was through the drunken scribble she wrote on him the night before. Mars speaking with the television host is another example. As he gets grilled with questions, he starts to sweat profusely despite his stony complexion. The anime continues with its know-how when it incorporates the backgrounds of the Rockies (a nickname from Mira, the idol who also happens to be their biggest fan) themselves. St. Giorgio’s constipated face nets him a silly catchphrase and a bit of advertising fame, but he concedes that his (unmoving) expression was the one he made when facing off against a dragon. Or Hermes, with his thieving representation, holds a secret sermon where he sells a literal steel bolt with (untrue) lucky powers at an exorbitant price. 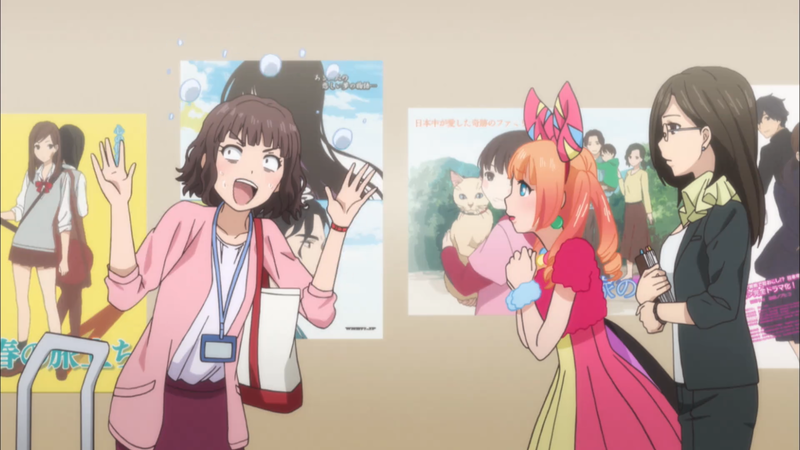 Simultaneously, the anime’s idol motif also gets used for humor. In one instance, the group is invited onto a live showcasing of different musical groups. But the other groups take so long conversing and performing that the Rockies get cutoff (with Miki tripping in the background) when it is their turn to go. In fact, this joke is almost meta in its humor – sculptures (obviously) do not speak or sing to begin with. The anime does include a small, dramatic conflict in relation to the Rockies treating Miki poorly and her subsequently abandoning the group. It somewhat comes out of nowhere and gets resolved rather quickly. Plus, it unfortunately detracts from the comedy for almost the entire episode. Even so, this aside is a tiny dip that does not completely take away from the rest of the season. And that’s about as much as the show provides narratively. While the structure of the narrative is sound – the first couple of episodes introduce the premise, then each focuses on one specific member, then the episodes bring them all together, and then the final couple of conflicts ensue – it does not invite any larger themes or ideas. 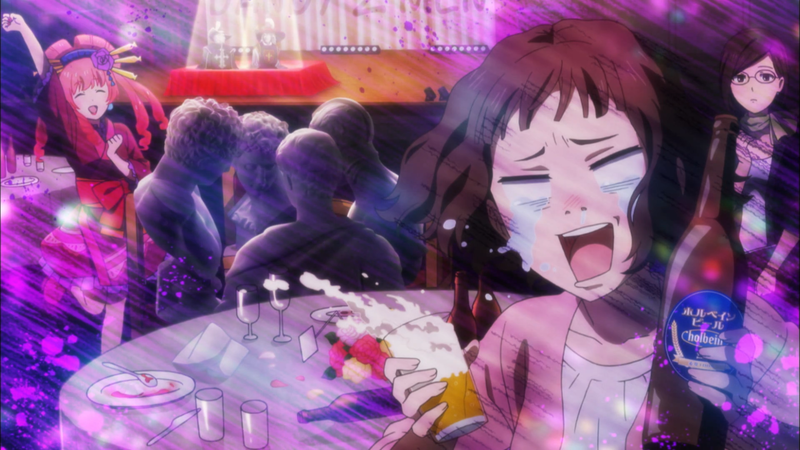 Regardless, the anime nails its comedy through various means, making it, if nothing else, filled with execution. Truth be told, Sekkou Boys does not have the best animation around. Miki does have certain segments that prove otherwise, like when her hair flutters due to a cold wind or when she is exploding with rage over drawing, but, for the most part, the anime remains static. Similar qualms can be had over the art. While the setting itself is realistic – various hotel rooms, the management office, and so on – none of them are particularly impressive to see. But while the show may be lacking in terms of technical animation and art, it makes up for these problems with more comedy-driven material. 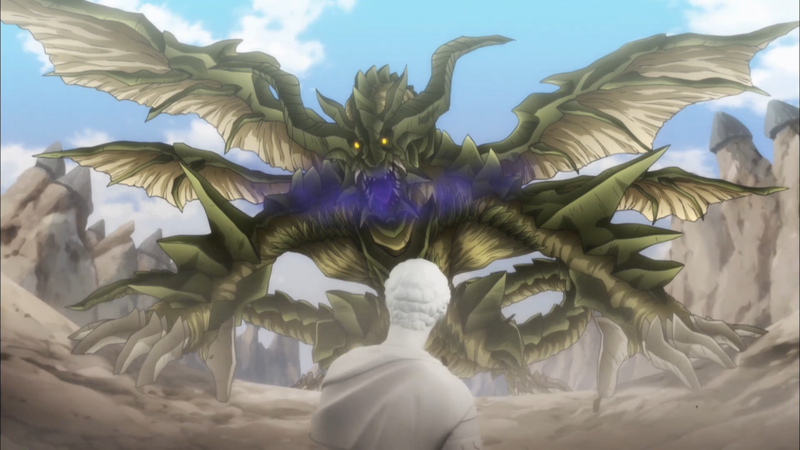 More specifically, the anime uses its visuals to sculpt out even more comedy. Take the character designs. Their photographic depictions contrast harshly with the two-dimensional environments, making them stand out in a silly manner. Along the same lines, Miki dons many different reaction faces: flustered, vicious, and so on. Indeed, her various expressions (as well as her own plain design) are accentuated by the stoic faces of the Rockies. And just for good measure, the anime also includes subtler bits of comedy. During certain scenes, and sometimes for only a couple of frames, small visual jokes are shown. A couple of the funnier examples are St. Giorgio growing stubble after drowning his sorrows away and Medici suddenly wearing sunglasses when Miki shines with brilliant light. So while the show is arguably not the strongest on an animated and artistic level, it certainly understands how to use this visual medium for comedic effect. Miki and the Rockies of Sekkou Boys are characters that exist purely for comedic purposes. Meaning, no development or extensive characterization is given and should not be expected. To this end, the anime at least gives the crew their own distinct personalities. St. Giorgio is calm in his dealings but willing to get “touched up” to help his friends. Mars is actually not as gruff and tough as his appearance may reveal, succumbing to harsh words from Athena. Hermes mostly keeps to himself, letting the others be loud in his stead. And Medici is rather childish, immature, but he loves his “jewels” all the same. Sekkou Boys, similar to the story, also takes advantage of their real-world history. St. Giorgio talks of his Saintly status from time to time. Mars mentions Venus in his dialogue. Medici makes a comment about Michelangelo being the artist that created him when in the middle of a photoshoot. And Hermes refers to himself as the “original Renaissance man” given his multitalented background. These details are admittedly small, low impact even. But they at least demonstrate the anime’s care for its characters. As for Miki, she is usually a very kind and simple woman. She works hard at her job, lifting the Rockies, managing the Rockies, and helping the Rockies in any way that she can. Originally, she found herself baffled and angered at the idea of tending to these plaster pieces once again. But her time in the music industry allowed her to go through many new experiences. Finally getting her license. Seeing the different behind-the-scenes environments of the various venues. Straining her back. And after experiencing what her new job had to offer, and realizing what being back home meant for her, she understood. She understood that what she wanted all along were the very sculptures that she had come to despise. Thankfully, the Rockies apologize and Miki vows to not run away again, reuniting the strange group. That is to say, their friendship gets officially set in stone. Sekkou Boys foregoes an opening track and instead invests all of its effort on its ending track. While the composition of the track is nothing special, it still manages to come together nicely. Mars, Hermes, and Medici sing as St. Giorgio provides the “backup vocals.” The piece is partially catchy, too. But it is the ED’s chant that makes it a fun singalong excursion. The rest of the original soundtrack has nothing notable. It contains some varied tracks, like hip-hop tunes and a more bittersweet piece. But, for the most part, the tracks are simple arrangements that do little more than fill the air with noise. Voice acting reaches heights similar to the ED. 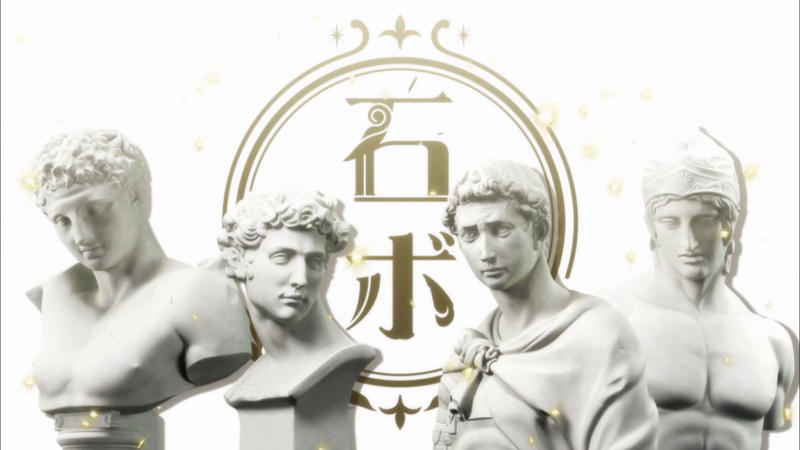 Tomokazu Sugita as St. Giorgio, Daisuke Ono as Mars, Jun Fukuyama as Hermes, and Shinnosuke Tachibana as Medici fit their respective heads well. Their voices for the commanding, warlike, suave, and pretty-boy cast gave the show even more comedic chops. And a special shout-out goes to Shiho Kokido (in one of her first main roles) as Miki for her agitated, flustered, and angered performance. This one happened to be a lot more fun than I thought it would be. From the get-go, I knew that the show was going to be an absurd little experience, but I was surprised that it managed to maintain its shtick for the whole run. I never found myself tired of St. Giorgio dishing out lame jokes, Mars yelling to forego logic, Hermes giving the baby on his shoulder fermented grapes, and Medici doing his best to flatter through texts. Miki was entertaining, too. Her constantly struggling to keep the talented yet annoying Rockies in line, while also reacting to the situations with a mixture of emotions, made her a fun lead to cheer for. Her beating up Mars and getting overly excited about a potential red-carpet walk were some of her highlights. I cannot say that I adored the characters, though. Yes, they were humorous, but they were not exactly memorable – no matter how unique their premise may be. Nevertheless, other jokes also made the show more comedic to me. The other three failing to not bring up words related to St. Giorgio’s unpopularity and Agrippa ruining the moment with his pun (as well as Miki’s dumbfounded expression) after the group arrives to get Miki back are just a couple of examples that had me laughing at the silliness of the show. Sekkou Boys does not shy away from its ridiculous premise. The talkative marble heads, the comedic visuals, and the small glimpses into the real-world history do create a fun little show. Unfortunately, the anime doesn’t do much else. But it is certainly more interesting than a pile of rocks.